Duke Ellington, Miles Davis, and measures of "Take Five" and "Killer Joe" provide me with a sense of nostalgia. I was a band nerd in middle school. It was cool though because my friends and I did it together. One of my friends played clarinet, while the rest of us played trumpet. The trumpet wasn't my first voice, but playing it was honestly the best choice that I could have ever made. It made me happy: it gave me some stability in a constantly changing life and connected me to a brother that I could barely remember. He transitioned when I was in kindergarten, but his energy was all around me, especially when I stepped foot in the band room. His decade-old band picture, with him in the front row holding his trombone, overlooked all of us as we played. Excelling in playing the trumpet became so important to me that I practiced everyday, especially when I was gifted a cornet in 7th grade. I was formally introduced to jazz in my middle school band, but the love for it came from a program called T.W.I.G.S. out of the Baltimore School of the Arts. Every Saturday for six months, I played in a concert and jazz band. I enjoyed the whole day, but jazz practice was awesome. Even though I was afraid to take a solo, I loved that time of day. Jazz complimented my old soul trapped in a young body. It gave me a depth of coolness that most of my peers didn't understand. It gave me the focus and drive to be better at my craft, and once I found out the origins of jazz, it gave me pride in the creativity of black people. What I didn't learn about in much of my jazz studies was about the contributions of women in the instrumental side of jazz. So, for this final week of #ThisIsHERStory, I want to share some information about some important movers and shakers in jazz. From conductors and arrangers to integrated groups (that are all kind of connected once you read about them), learn more about five ladies in jazz below. Other than being Louis Armstrong's ex-wife, Lillian Hardin – known as Lil Hardin – was a composer, arranger, bandleader, pianist and singer. She started playing piano in 3rd grade, but became more polished in her craft while she was at Fisk University. After years of playing behind various artists, she started her own orchestra and worked with Satchmo's music. After years of doing that, she went solo as a singer and pianist, occasionally working with artists in Chicago. She passed away in 1971, after passing out during a tribute concert and a few months after Louis Armstrong did. Listen to "Doin' The Suzie Q," "Oriental Swing," and a song she composed for Louis Armstrong's Hot Five called "Got No Blues" below. 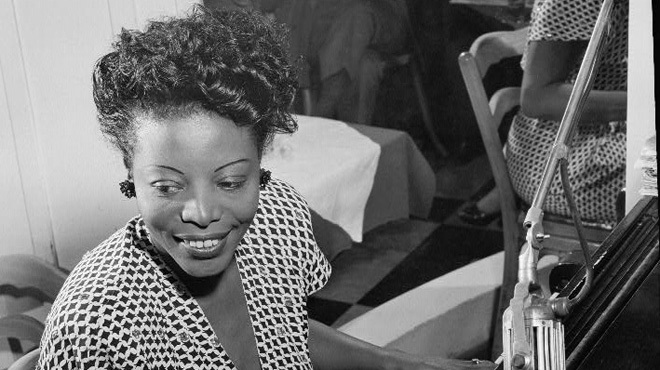 Just like Lil Hardin Armstrong, Mary Lou Williams was a composer, arranger, and pianist. She started her career at a very young age, playing with an unknown Duke Ellington and the Washingtonians. 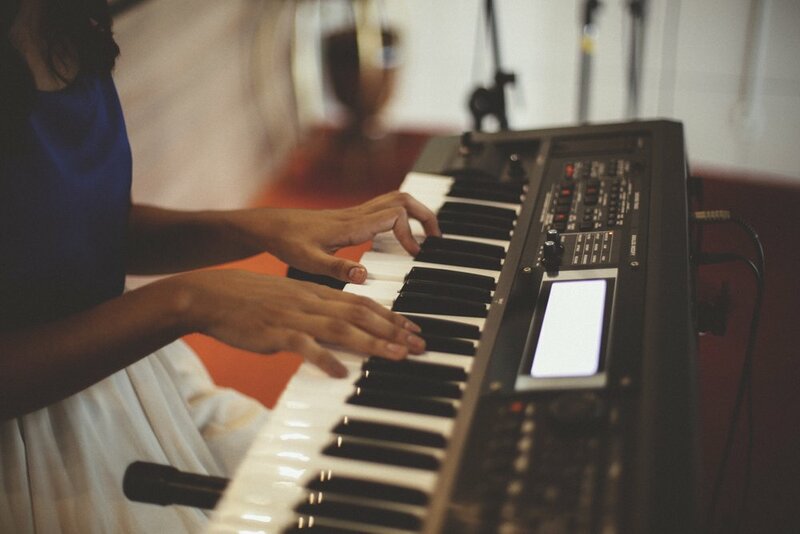 She composed, arranged, and played for her first husband's group. After their divorce, she started another group with her second husband, which she ended years later, arranging for Duke Ellington during that time in songs like. 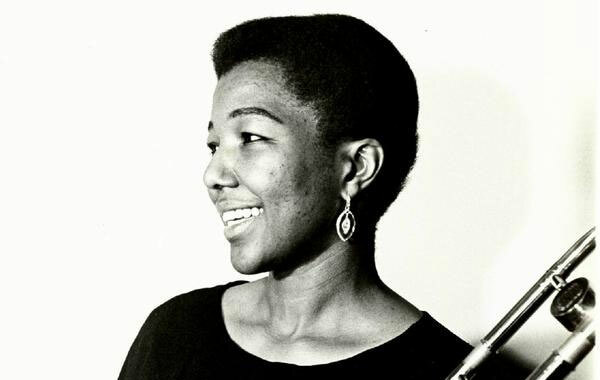 Mary Lou became a mentor and collaborator to artists such as Dizzy Gillespie (for "In the Land of Oo-Bla-Dee") and Thelonious Monk in the 1940s and 50s. She also created composed and arranged sacred music after converting to Roman Catholicism; she, and dancer and choreographer Alvin Ailey, collaborated to create a mass called Music For Peace in 1970 that is performed by the Alvin Ailey American Dance Theater, which is also known as Mary Lou's Mass. After years of arranging, composing and performing, she became a record label owner, humanitarian, GRAMMY-nominated artist, and an artist-in-residence at Duke University in 1977. She passed away in 1981. Check out snippets of "Mary Lou's Mass" from the Alvin Ailey American Dance Theater below and read this piece on her via NPR. Like the previous two ladies, Melba Liston's fame came from arranging and composing. However, her skills came from playing the trombone. The Kansas City, Missouri native toured with Dizzy Gillespie, Billie Holiday and Count Basie at the beginning of her career. After taking a hiatus, which included teaching and acting in some Hollywood films, she toured again with Dizzy Gillespie and recorded with Art Blakey. Along with that, she released her only album as bandleader called Melba Liston and Her 'Bones in 1958. She continued arranging and composing for various artists, including Gillespie, Ray Charles, and many more, over the span of four decades, including some alongside composer Randy Weston. She also directed music for movies and taught music in Jamaica. Ms. Liston passed away in 1999. Make sure to check out this NPR documentary on her here and watch this video below of her playing "My Reverie" with The Quincy Jones Orchestra in 1960 below. There were a few all-women bands that have existed in jazz, but the International Sweethearts of Rhythm was the only integrated one. Founded in 1937 at a private boarding school for poor African American girls in Mississippi as the school's band, the orchestra gained fame in the 1940s after leaving the boarding school and settling in Virginia where their band became integrated. 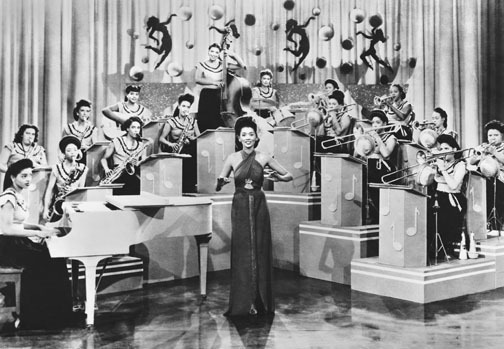 The swing band was integrated, so they played in predominantly black venues, like the Apollo Theatre and Howard Theatre, but also toured in Europe during part of World War II. They disbanded in 1949 for various reasons. Fortunately, there are a few videos of the ladies performing during their height and they sounded awesome! Watch below (and check out their NPR story here). I couldn't end this post without including a woman trumpeter! The Texas native started playing as a kid, along with being a singer, and developed her craft through high school and college at Prairie View A&M University. At Prairie View, she played in an all-female band that appeared at the Apollo. She performed with the ladies of the International Sweethearts of Rhythm not long after that. 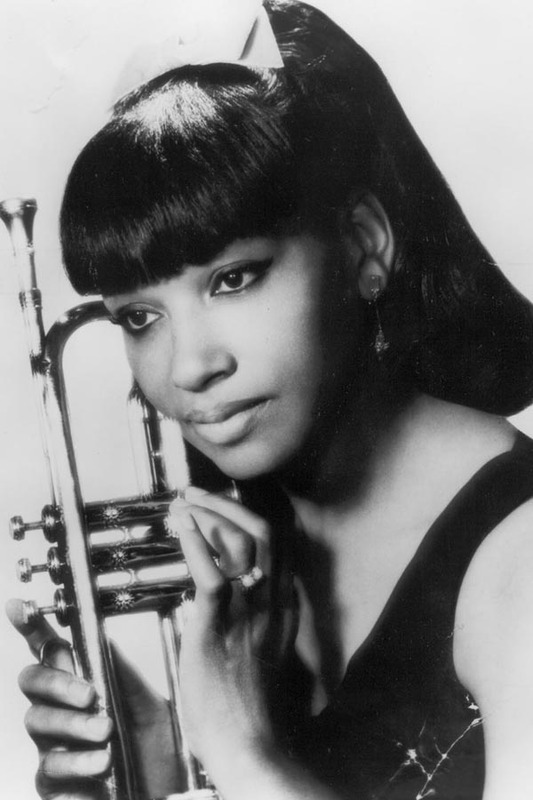 She caught the attention of a familiar name, Dizzy Gillespie, after transferring to UCLA. Along with working with Gillespie, Clora performed with Charlie "Bird" Parker and many other people, including other female bands – where she played the drums – and other artists like Billie Holiday. She released her only album, ...Gal With a Horn, in 1957. In the 1980s, she became the first American female jazz musician to perform in Russia. She no longer plays, but she still speaks on jazz. Check out this lively interview from 2010 with Ms. Bryant below. I only focused on a particular time frame in jazz, but there are a lot of ladies out there who have contributed to jazz more recently. Let me know who your favorite ladies in jazz are by leaving a comment or tweeting me @amirahrashidah.